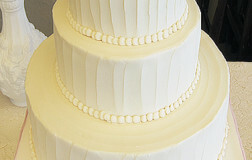 Three tier wedding cake finished in vanilla butter cream frosting. 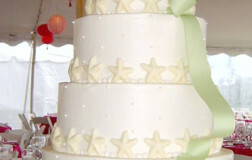 Be the first to review “Bold Statements 9” Click here to cancel reply. 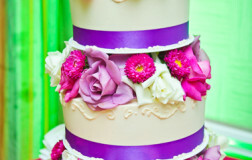 Try and guess how many of these edible drags are on this cake? 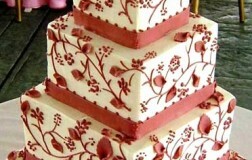 Now..try and guess how many fell while we tried to decorate this cake. 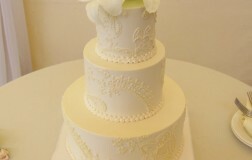 I guess it doesn't matter...end result is exquisite. 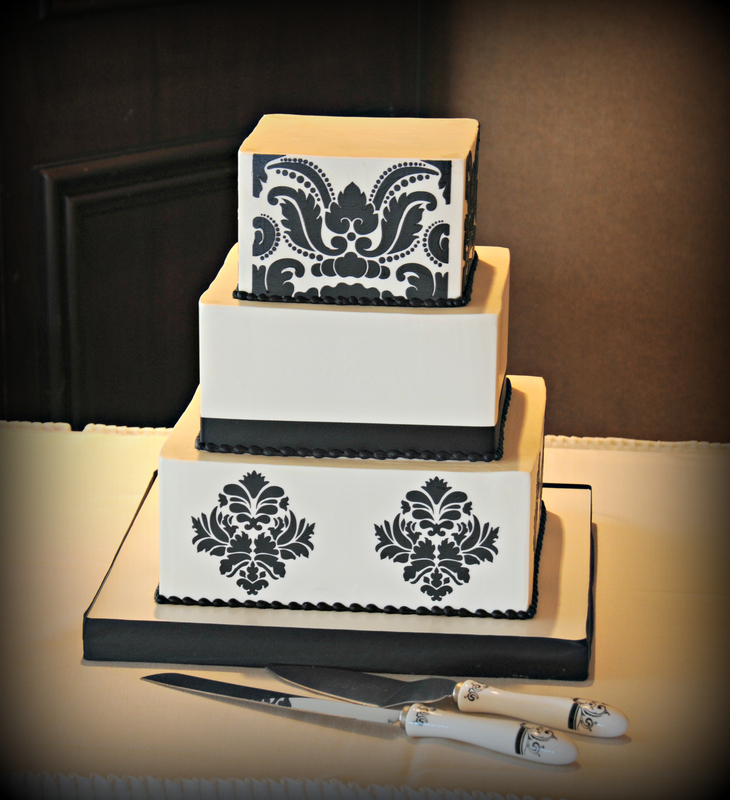 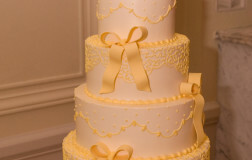 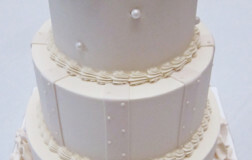 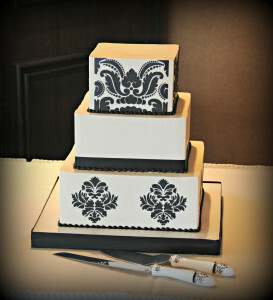 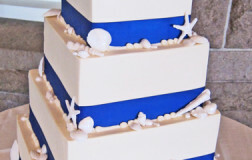 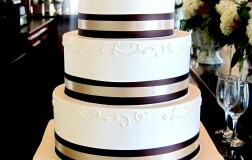 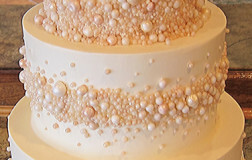 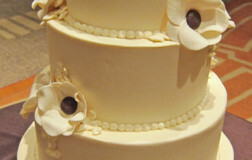 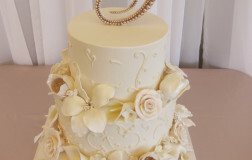 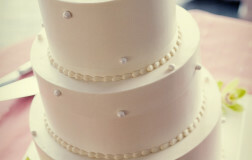 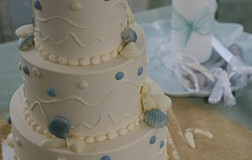 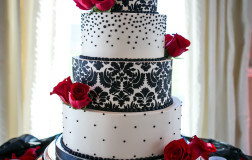 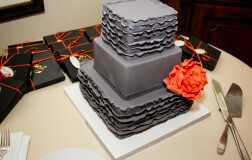 Just a touch of pearls gives this cake simple elegance. 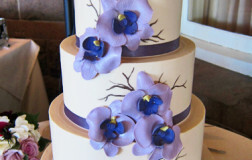 Fresh orchids add a pop of color. 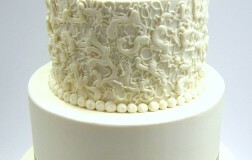 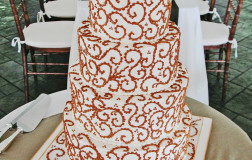 This pattern looks amazing in ivory. 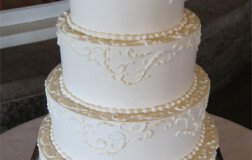 The detailing would also look great if it were piped in the right shade of color.